The ancient evil that destroyed Atlantis is stirring again, and only the six chosen mermaids can defeat it. 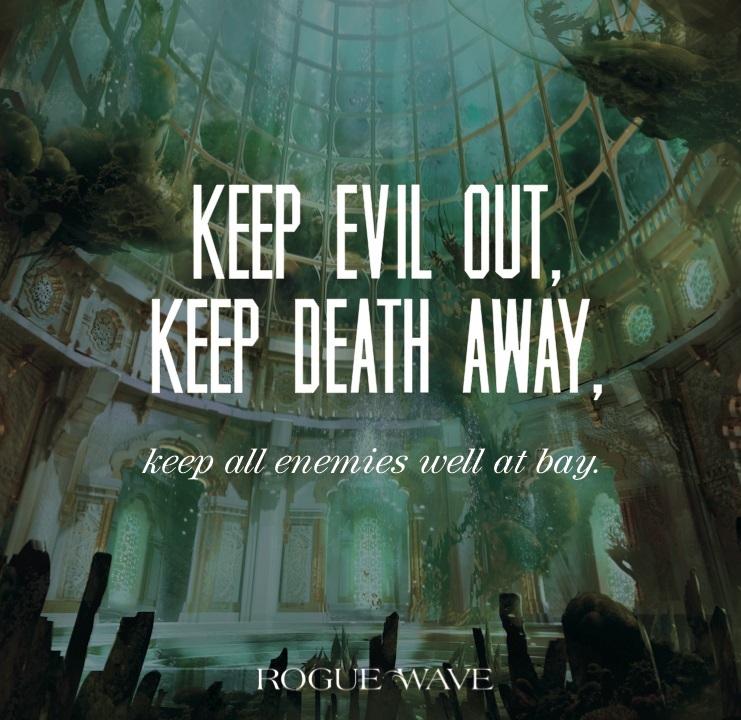 In Rogue Wave, the second book of the epic Waterfire Saga, Serfina and Neela find reserves of courage and cunning they didn’t know they possessed. They face down danger and death, only to endure a game-changing betrayal, as shocking as a rogue wave. Serafina, Neela, Ling, Ava, Becca, and Astrid, six mermaids from realms scattered throughout the seas and freshwaters, were summoned by the leader of the river witches to learn an incredible truth: the mermaids are direct descendants of the Six Who Ruled—powerful mages who once governed the lost empire of Atlantis. The ancient evil that destroyed Atlantis is stirring again, and only the mermaids can defeat it. To do so, they need to find magical talismans that belonged to the Six. Serafina believes her talisman is submerged inside an old shipwreck. While researching its location, she is almost discovered by a death rider patrol led by someone familiar….and the pain of seeing him turned traitor is devastating. Neela travels to Matali to warn her parents of the grave threat facing their world. But they find her story outlandish: a sign that she needs to be confined to her chamber for rest and recovery. She escapes and travels to Kandina, where her talisman is in the possession of the fearsome razormouth dragons. As they hunt for their talismans, both Serfina and Neela find reserves of courage and cunning they didn’t know they possessed. They face down danger and death, only to endure a game-changing betrayal, as shocking as a rogue wave. 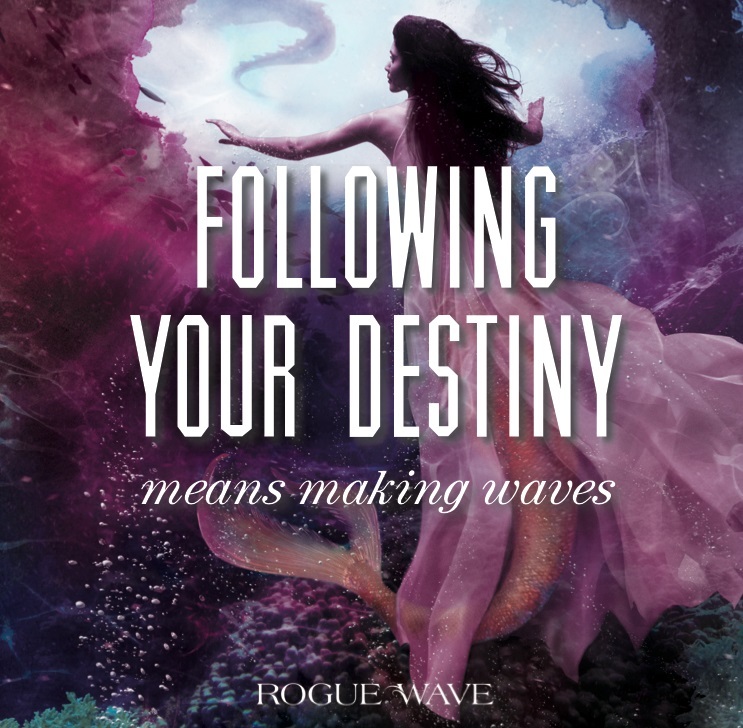 In ROGUE WAVE, Serafina takes a big risk. She travels to the forbidden ruins of Atlantis to try to find out what the six talismans are, and where they might be hidden. Atlantis lies within the Barrens of Thira – home to the bloodthirsty Opafago cannibals. Sera knows she will have to be quick and careful while in the ruins to avoid detection. The myth of Atlantis was a huge inspiration behind the entire Waterfire Saga, and comes into play in a big way in ROGUE WAVE. I’ve always loved the idea of a lost, underwater world, and as I researched the myth, I learned that Atlantis may not be a myth after all. In his fascinating book, The Lost Empire of Atlantis, author Gavin Menzies argues that Atlantis did exist – and was part of the advanced and sophisticated Minoan civilization which stretched from the Mediterranean Sea to England, India and even America. IN 1500 BC, a supervolcano beneath the island of Santorini exploded with apocalyptic force, dealing a death blow to the Minoan civilization. 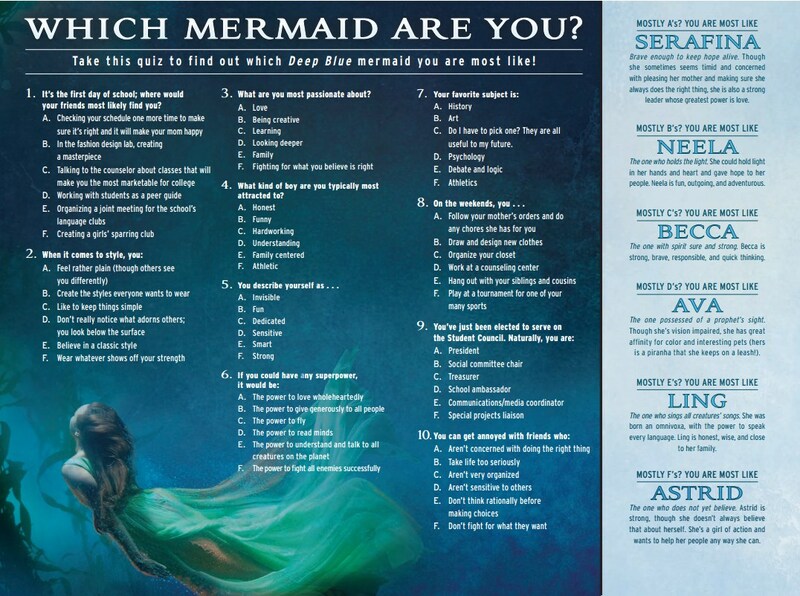 Which Waterfire Saga mermaid are you most like? Take this quiz to find out! To me, the story of the Minoans – and as I now realized, that of the people of Atlantis – is truly one of wonder. But it is not one of fantasy. This was no underwater daydream. Yes, this was a society lost to history. But it was not a lost race of miraculous beings with fantastical powers. It was a real place of real achievement, where lived a people whose brilliance and resourcefulness resounds through the centuries. Atlantis was not one place, but an empire of many places – and empire that reached out across the world, bringing a magical new technology with it. This is a tale that tells us one thing: that the history of this world is far more fascinating, complex and indeed more beautiful than we could ever imagine. I hope you love ROGUE WAVE’s Atlantis, too – but watch out for the Temple of Morsa, a cracked mirror, and a couple of creatures with very big teeth! 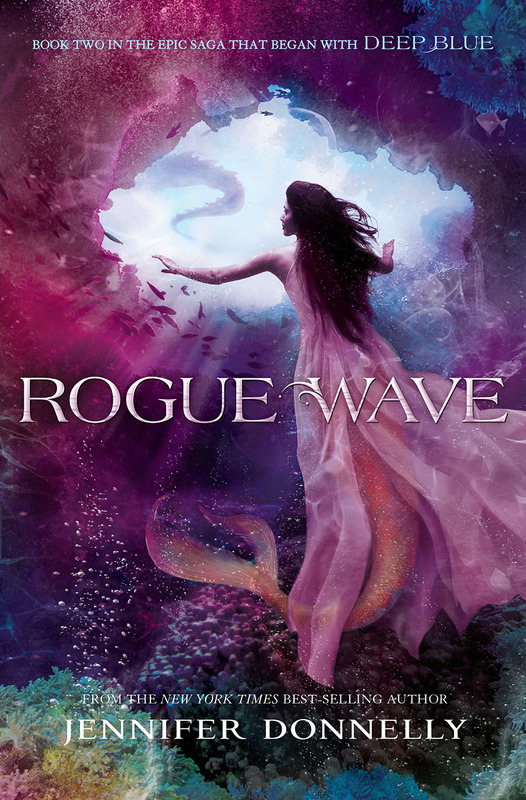 Buy Rogue Wave at Amazon.com, Barnes and Noble, or your local independent bookstore. I’m currently reading the waterfire saga no.2, and I’m savouring every moment! But are there really only 4 in the series? Hi Fahima: Yes, there are four books in the series. There are no plans for a fifth book at the moment, but if that changes, I’ll let you know — so take your time with books 2-4!! My daughter who is in second grade brought this book home from her school library. Is it appropriate for her to read? I think it might be a little advanced for a 2nd grader, but every child and every family is different, so I can’t really say if it’s appropriate for your daughter. My own daughter read it in 5th or 6th grade and it was just right for her and her friends. I would recommend that you read it first, if possible, and decide if you think it’s right for your daughter. Aww, thanks, Wiktoria! 😘 I hope you enjoy the rest of the series, too! I can’t answer that — it’s like asking who’s my favorite child!! 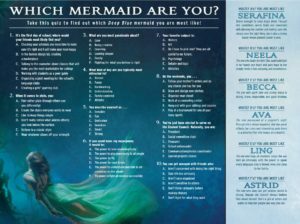 But I will say this: I took the Waterfire Saga Character quiz (here: https://www.jenniferdonnelly.com/wp-content/uploads/2018/10/WhichMermaidAreYouQuiz.jpg), and the mermaid I’m the most like is … Astrid!! I just got done reading the first book it is amazing and i loved it. I love how she fights for everything. I would love to be a mermaid hope you change your mind about the 5th book but i only have access to 3 of them not 4 so might be a bit behind. If you were a mermaid what would be your power and the color of your fins??? That’s a good question! I took the mermaid quiz (which you can find on the Rogue Wave page) and it said I’m the most like Astrid. So I guess I’d have the coloring of an orca and I’d be a warrior like her!